Light, portable and popular. A Kiwi-made icon The Puffin Rollup is compact, light weight and durable, but is easily deflated, rolled- up and stowed for transport. 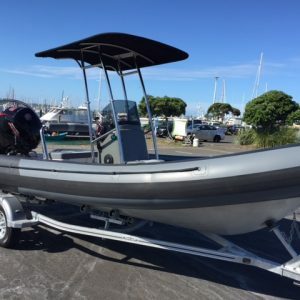 Thousands of boaties have experienced the convenience and longevity of the Puffin “Roll Up”. New features include; plastic floor slats for increased longevity and rigidity, Railblaza rowlock fittings with the ability to fit rod holders and other accessories, twin air chambers for great safety, and sharp new styling and colours. 200TC and 220TC models feature full wrap around tubes (not pictured). 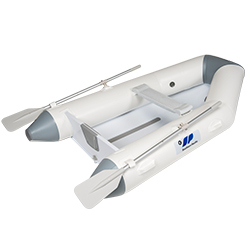 Starting at only 11kg, the Puffin Rollup is one of the lightest tenders on the market. 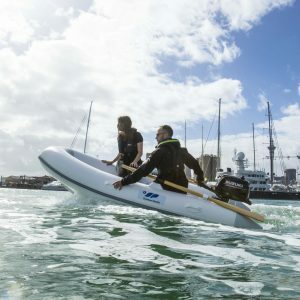 Inflation and assembly is a breeze, as floor slats can remain in when rolling up, and the double action pump means you’ll be on the water in under 5 minutes from stowage. The Puffin Rollup is compact, light weight and durable, but is easily deflated, rolled- up and stowed for transport. Thousands of boaties have experienced the convenience and longevity of the Puffin “Roll Up”. 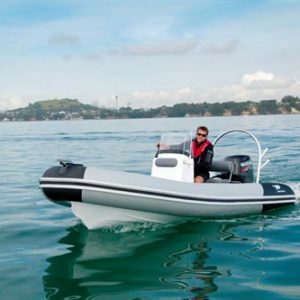 New features include; plastic floor slats for increased longevity and rigidity, Railblaza rowlock fittings with the ability to fit rod holders and other accessories, twin air chambers for great safety, and sharp new styling and colours. 200TC and 220TC models feature full wrap around tubes (not pictured).